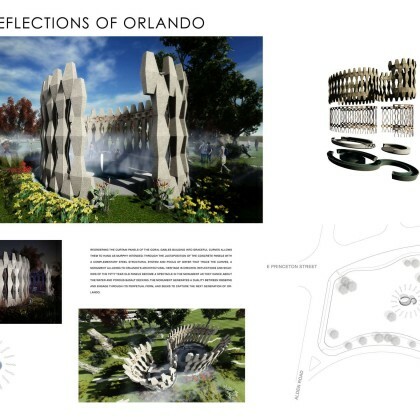 With your support, an Orlando architectural icon will be given new life in the form of public art. While we make room for the new and awe-inspiring DPPAC, we must also remember to embrace the memories and history of The City Beautiful. 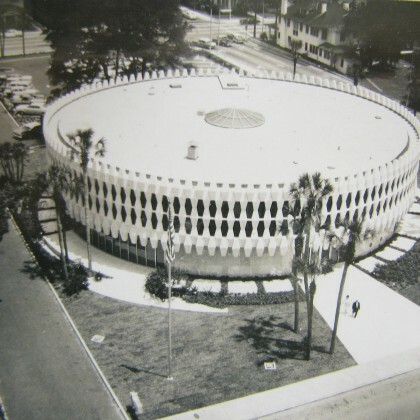 One way the City of Orlando is trying to save a small piece of Orlando history is by saving part of The Round Building, which is located on the corner of Orange Avenue and Anderson Street. 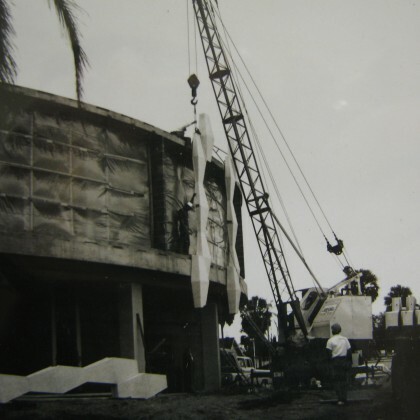 The portion of the Round Building that we are working to save is called the Brise Soleil. 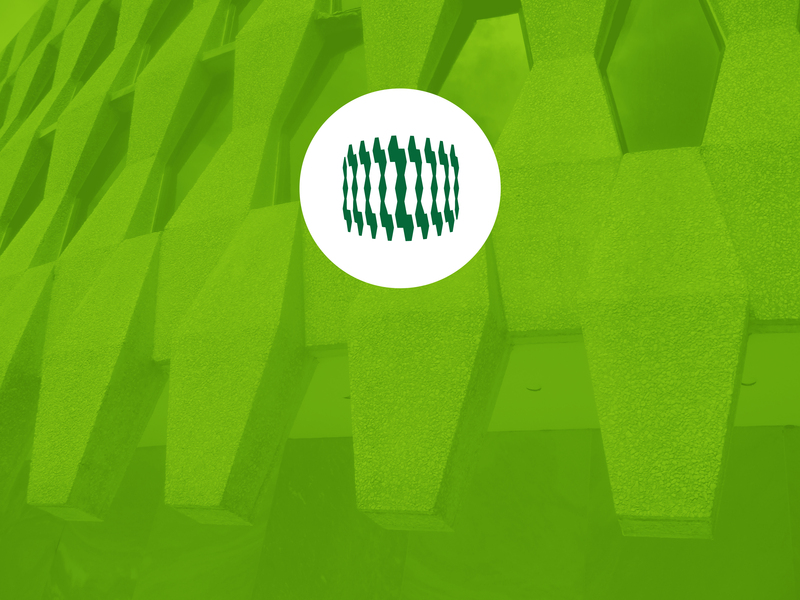 The Brise Soleil is the decorative (honeycomb-shaped) band that spans the exterior perimeter of the Round Building. Downtown Orlando is ever-changing. The citizens of Orlando and Orange County have approved the much-needed and highly anticipated 3 Venues projects, including the Orlando Events Center, The Citrus Bowl expansion and modernization, as well as the Dr. P. Phillips Performing Arts Center (DPPAC). Because The American Federal Building (The Round Building) occupies the southwest corner of the site of the DPPAC, it is scheduled for complete demolition. 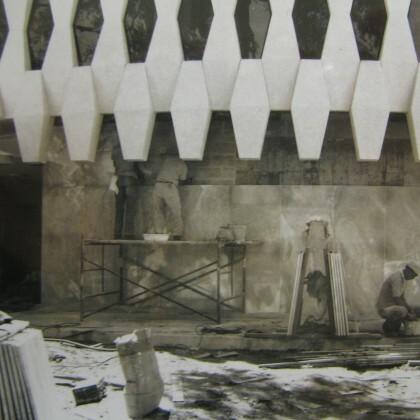 The mission of the title sponsor of Next Round, Nils M. Schweizer Fellows | Central Florida Modern, is to promote awareness and seek the preservation of Florida’s mid-century modern architecture. They are a non-profit corporation composed of design enthusiasts who have united to advance this cause. 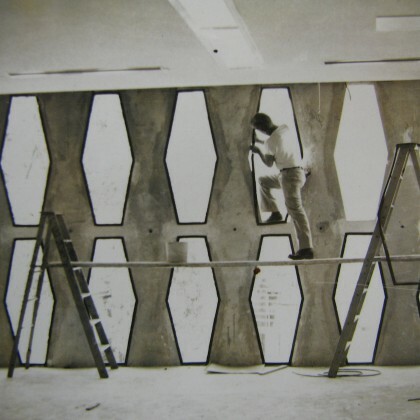 To that end, we endeavor to raise private funds to save the Brise Soleil and use it in other locations, thus saving a part of Downtown Orlando’s History. The Brise Soleil may be used in sections in different ways in all different locations throughout the City or in one defined locale. For instance, some or all of it could be use as a sculpture or set into the ground as a decorative path or even as a sun screen (its originally intended purpose). How and where we would use the Brise Soleil has yet to be determined. 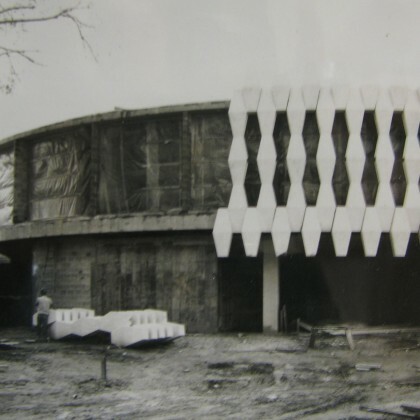 While the details are brought into focus, our fund-raising efforts must persist in order to save this piece of history, so it is not lost forever once The Round Building is demolished. designed by Orlando’s first modernist? He studied under the famed Walter Gropius, the founder of Bauhaus. The building is comprised of 120 precast brise soleil panels. It is our goal to save them all. In fact, any corporation, organization or individual can sponsor a single panel for as little as $2500. However, any amount helps! You can contribute today by clicking the “Donate Today” button below. Or, if you prefer, you can make your check payable to the charitable 501(c)3, Strengthen Orlando (please be certain to note “Saving Round Building History”), and mail it to the address below. We truly appreciate your generosity, and thank you for helping preserve a part of Orlando’s mid-century modern architecture! Just $2,500 saves one of the 120 brise soliel panels! The American Federal Building was designed by Bob Murphy. Born and raised in Charleston, South Carolina, Mr. Murphy graduated from Harvard. While there, he studied under the tutelage of Walter Gropius, founder of Bauhaus and one of the pioneering masters of modern architecture. 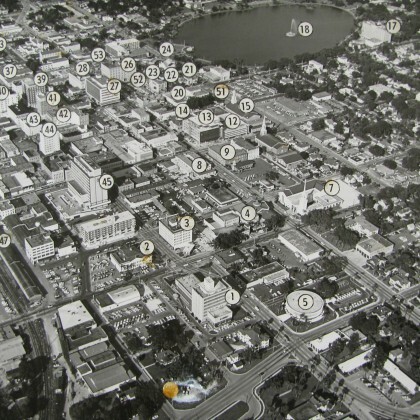 He later settled in Orlando in 1947 upon retiring from the Army Air Corps. Bob is arguably the first modernist in Orlando; and, the firm he founded still exists today under the name, HuntonBrady architects. 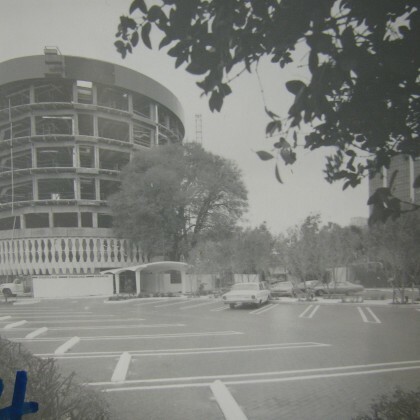 The original American Federal building was built in 1963 by Jack Jennings & Sons. 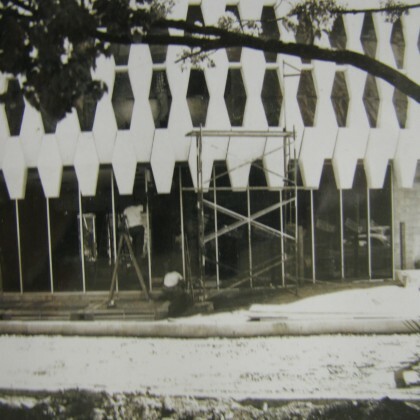 It’s original 2-story design of glass and precast concrete was striking and iconic to the budding city of Orlando. The project under Bob Murphy was also worked on by a young Frank Sheehy before he opened his own practice. 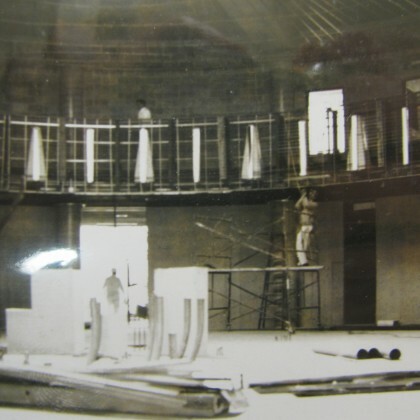 Sometime thereafter, the upper glass section was added and the building became commonly known in Orlando as “The Round Building” due to its multiple patron tenants and its iconic shape. This building is scheduled for demolition as part of Orlando’s new performing arts center. 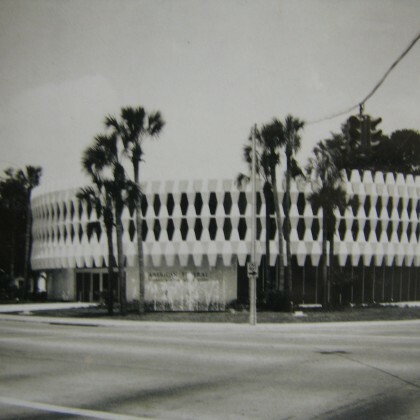 Central Florida Modern hopes to persuade city and business leaders to save the precast concrete brise soleil and display it somewhere as a remembrance to this buildings unique modern design in Orlando’s history. Did you know the City of Orlando has pledged a Matching Grant of up to $70,000? Our primary goal is to raise enough money to preserve all the brise soleil panels. While it is just the beginning, we only need to raise a total of $300,000 to remove and preserve all the panels. Any monies beyond our initial goal will help toward the next phase, which involves locating a home for each of the panels, whether it is a single location or a handful of places throughout the city. It goes without saying that no contribution is too big or too small. 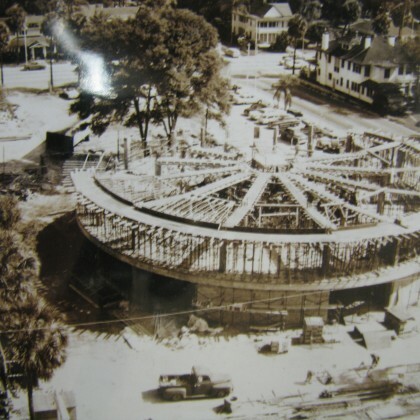 Once we have saved a significant piece of Orlando’s architectural history, we will play an instrumental role in placing the panels in an artful fashion. We have had the pleasure to review dozens of submissions from architects throughout the world. A particular design has yet to be firmly selected, some of the depictions can be found in the gallery below. As always, we truly appreciate your generosity and look forward to seeing The Round Building live on! You can contribute today by clicking here. Or, you can make a contribution by making your check payable to the charitable 501(c)3, Strengthen Orlando (please be certain to note “Saving Round Building History”), and mail it to the address to the right.